Preheat oven to 450 degrees. Place large pan with 1-inch of water in oven. 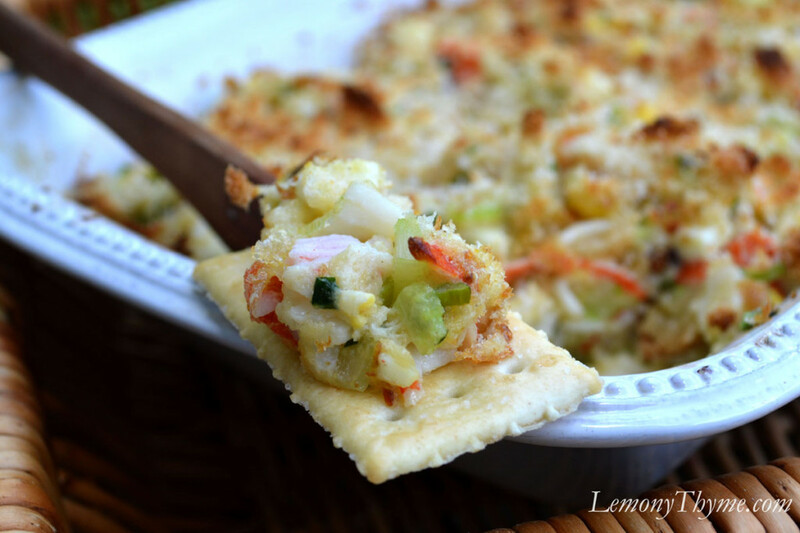 Combine crabmeat, celery, scallion, jalapeno, garlic powder and parsley. Saute in butter for 2-3 minutes. Remove from heat and stir in remaining ingredients through hot sauce. Pour into a buttered 1.5 quart casserole dish. Top with cracker crumbs. Place casserole in a water bath. Bake for 10-15 minutes or until hot & bubbly. Depending on how hot the water is may affect the cooking time. The top will be golden brown and the edges will be bubbly.